Couple weeks ago I stumbled into medieval arabic cookery after a long while. I must admit that it is an area that I am not most familiar with. 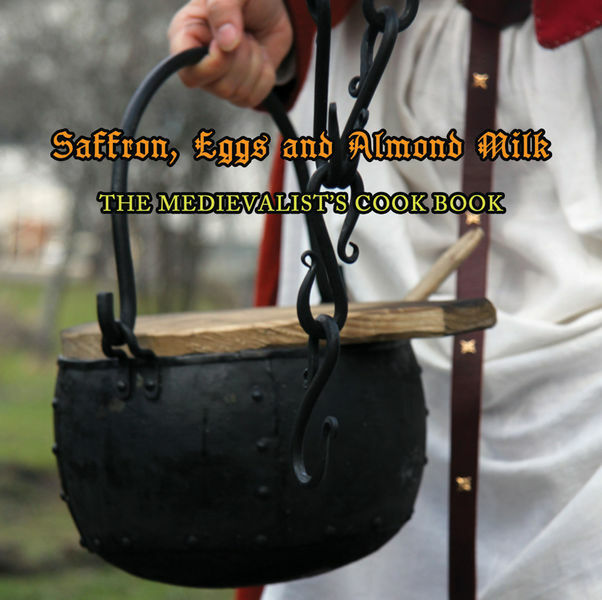 I have always liked spiced meatballs and medieval arabic food. I have not made the food much but I have enjoyed couple excellent medieval arabic feasts. 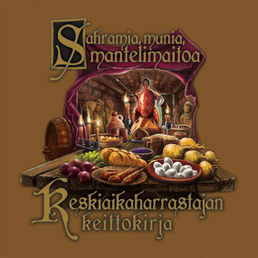 For example it is hard to forget the great feast Niina (Kaukis) made last Cudgel Wars! Mix the sauce ingredients together and let the sauce stand for couple hours. Mix together well the ground beef/lamb/mutton and rest of the ingredients and put the meat dough to the fridge for at least half an hour. Shape small round (palm size) patties from meat and fry them in olive oil until done. 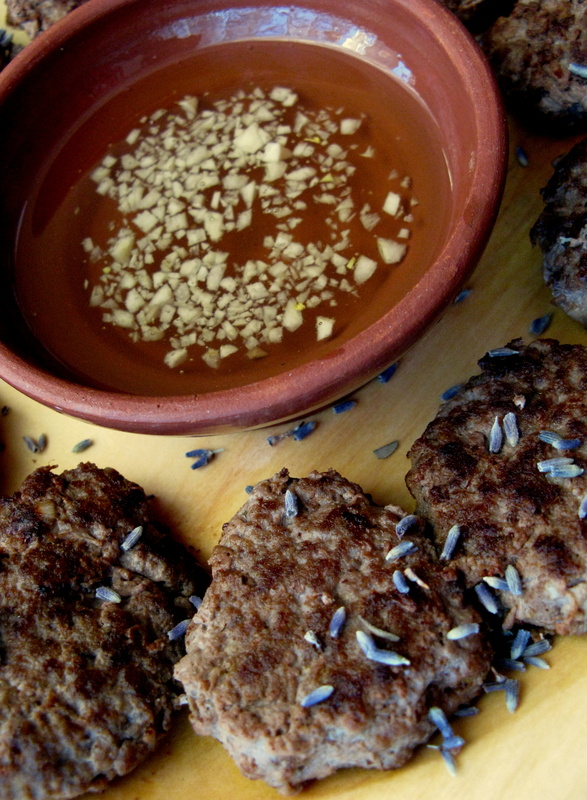 (Decorate patties with lavendel) Serve hot with the sauce. *Murri nagî= means a certain type of andalusian murri. Murri in other hand is a form of condiment, that has been used in arabic food but which use has significantly decrease after 14th century. If you don’t have time to do your own murri or you are not able to get ingredients for it or closer substitute sauces, then you can always use soy sauce. I am not very fond of using substitutes but in this case I have bend my precepts and used soy sauce. Comments: I wasn´t able to find lard that is suitable for arabic food from my grocery so I did leave it out. Sekoita kastikeainekset keskenään ja laita vetäytymään pariksi tunniksi. Sekoita keskenään jauhelihataikina ja laita vetäytymään jääkaappiin vähintään puoleksi tunniksi. Tee massasta kämmenen kokoisia pihvejä ja paista reilussa öljyssä kypsäksi. Tarjoile kastikkeen kera. Koristele halutessasi pihvit laventelin kukilla. Kommentit: Reseptissä käsketään laittamaan lihapuliin laardia. Saatavilla ei ollut mitään sellaisen eläimen laardia, joka soveltuisi arabialaiseen ruokaan. Joten päätin jättää sn pois.